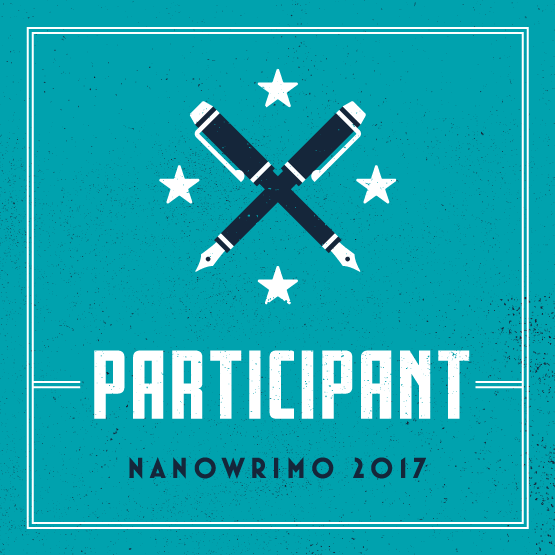 Because so many people participate or are now aware of it, I probably don’t have to explain that November is National Novel Writing Month, better known as NaNoWriMo. But the first year I participated, back when Stegosaurus still roamed the plains, I had the same conversation a lot. ME: I’m going to try to write a novel in a month. OTHER PERSON: Why would you do that? There’s really only one requirement. You write 50,000 words of a novel in a month. It’s a word count goal that is challenging but definitely doable if you apply yourself. And I still enjoy doing it every year, because it’s a time to focus on one project and engage with a bunch of other writers, and it’s a tremendous amount of fun. I’ve participated in every NaNoWriMo since 2002. Not all of those novels were good, or even complete. (In the early years, I had no idea what I was doing). But my published books that started out as NaNoWriMo novels include The Windup, Show and Tell, Such a Dance, and Ten Days in August. From 2003 until 2013, I also acted as municipal liaison for New York City, meaning that on top of writing, I also planned events for the region and wrote weekly pep talks. Basically, I have some experience with all this. And although there’s still a rational part of my brain that’s like, “A novel in a month? Why would you do that?” I’ve figured out how to do it. So I thought I’d offer some tips. 1. Plan WHAT you will write. “But I’m a pantser!” Yes. I get that. I’m not saying you need a detailed outline. But consider jotting down a few words about who your characters are. Write a paragraph describing the basics of the plot. Think about why you are writing this story—what’s at the center of what you want to say. Because I’ll tell you a secret: When I sit down to write knowing what I’m going to write and where the story is going, the writing goes much faster. I don’t stare at the blinky cursor or try to reason out what’s going to happen. I just sit down and write. I’ll tell you another secret: a lot of advanced planning makes my first drafts really solid. One of the prevailing ideas about NaNoWriMo is that, if you’re writing that fast, it all must be complete crap. But I’m here to tell you, I had the whole Rainbow League series plotted out in detail before I sat down to write The Windup one November. And while I did have to make some changes and revisions, the final version of The Windup is not substantially different from the first draft I wrote during NaNoWriMo. 2. Plan WHEN you will write Think ahead about when you can make time for writing, because you’ll need a lot of it to write 50,000 words in a month. Think about when you are at your best and most focused. I, for example, am better in the morning. So if I push writing to the end of the day, it kind of feels like pulling teeth. But if I write first thing in the morning, it flows. Figure out when your ideal writing time is, and stick to the plan to write at that time. 3. Try Word Sprints and Pomodoros. The basic idea of the Pomodoro Method is that you work in 25 minute bursts. I do this all the time with my freelance work. I’ve got an app on my phone that tracks the timed bursts of productivity. So a day goes like this: 25 minutes of work with no distractions, then a five minute break where I can check my email or Twitter or whatever, then repeat a few times, then a twenty-minute break, then repeat some more. It sounds silly, but I swear it works. If I just do pomodoros (the 25-minutes of work + 5-minute break unit) all day, I can get a ton done. Word sprints work similarly. Set a timer (10 or 15 minutes is ideal; anything more than about 20 minutes starts to feel like a slog). Then cut out all distractions and just try to write as much as you can. I do word sprints when I have writer’s block, because forcing myself to write usually gets me through the block. Similarly, you can try a 1k1hr (trying to write 1,000 words in an hour). You can bang out the words for the day in a series of sprints, is my point, and I bet you could do it in less time than you think. 4. Participate in the Community… But Don’t Let It Distract You! There’s a fine line, maybe. I know anecdotally from all my years as a municipal liaison that people who come to write-ins are more likely to make it to 50K than people who don’t. I think we all need that support, or need people to prod us on. Most regions have write-ins (which is what it sounds like; basically everyone shows up at a location, usually a cafe or library, and types away in the company of others), as well as an online forum, a chat room, public social events, etc. This also means it’s possible to be chatty and not write anything, so keep an eye on how you’re using your community time. 5. Try Something New. NaNoWriMo is only a month, so you could view it as a time to experiment. Try a genre you’ve never written before, play around with new tropes, try a different approach. (Try planning, for example, if your usual instinct is to be a pantser.) If it doesn’t work, it’s only a month. But if it DOES work, you could learn something useful about how to write a book. 6. Don’t Look Back! NaNoWriMo doesn’t work for every writer because it requires an approach in which the writer plows forward without revising. I personally have adopted this approach for my writing year-round; I like to churn out a first draft quickly and then take my time revising and polishing it. But I also learned during my very first NaNoWriMo that if I stop to edit, I will definitely not finish. For me, it’s better to have the raw material I can revise and shape rather than nothing. I can slay the internal editor and focus on story. 7. A First Draft Is Not a Final Draft. One would think this goes without saying, but I’ve heard from a lot of editors and agents over the years who dread December because they are inundated with half-baked NaNoWriMo novels. Here’s the deal: 50,000 words is a very short novel. (It’s The Great Gatsby or a Harlequin Presents.) Most novels these days run in the 75–100K range (with some variation, depending on genre). So that 50K you wrote in November is really a jumping off point. Not to mention, if you haven’t read any of what you’ve written, how do you know if it’s good? Revision is part of the process. In my Other Life, I work on writing and reading books for school-aged kids, and one of the things we always teach are the 5 stages of the writing process: pre-writing, drafting, revision, editing, and publishing. Maybe you want to send your first draft to a beta reader or critique partner, but if you want a book deal, polish that thing before you submit it to the pros! My advice would be to let it sit in December. After all that noveling time, take a break, reconnect with your family, celebrate your winter holidays. Then read the whole thing after the New Year. The time spent away from it will give you a new perspective. Because NaNo is for first drafts, not final drafts. The purpose is for you to stop saying, “I want to write a novel” and to write it. But November isn’t the end of the story. I would say also, after all the years of both NaNoWriMo and professional authoring, my approach during NaNoWriMo is not radically different from my approach the rest of the year, but NaNoWriMo gives me an excuse to prioritize writing over some other things in my life—gotta make that daily word count. And if you’re a NaNo veteran, consider changing the challenge: up your monthly word count goal (instead of 50K, aim for 60K or 75K).